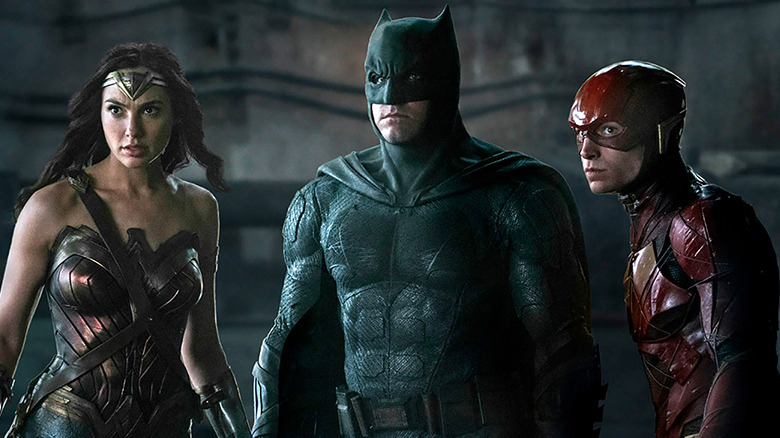 After years of buildup, Batman finally got the band together in Justice League to save the world from certain doom. Which was nice. But now that the world is all saved and everything, there are still a ton of questions about what exactly it is that we all just watched. So hold on to your Mother Box, because here's a spoiler-filled look at the biggest unanswered questions in Justice League. What happened to the Mother Box? The plot of Justice League revolves around the MacGuffin, a.k.a. the Mother Box, which is three boxes in one, sort of like Russian nesting dolls. Only in this case, when you stack them, instead of making a child smile, they destroy the entire world. Once Steppenwolf finishes the very easy task of getting all three of the boxes, he puts them together and almost wipes out the planet—luckily, Cyborg and Superman team up to pull the boxes apart, and everyone goes away happy. But what happened to the Mother Box after that? Is it still sitting in the ruins of Chernobyl? Did Cyborg take it so his dad could keep experimenting on his feet? Did they give them back to the elves, dwarves, and kings of Gondor again for safe keeping? Considering it has the power to bend time and space and destroy entire planets, you'd think the Justice League would want to keep a really close eye on those things, but apparently not. At one point in the movie, Steppenwolf says he's going to conquer Earth "for Darkseid." And… that's it. Which isn't a whole lot, considering everything in this movie, not to mention the future dream sequences in Batman v Superman, sets up a future showdown with Darkseid, who is basically the DC Universe's version of Thanos. 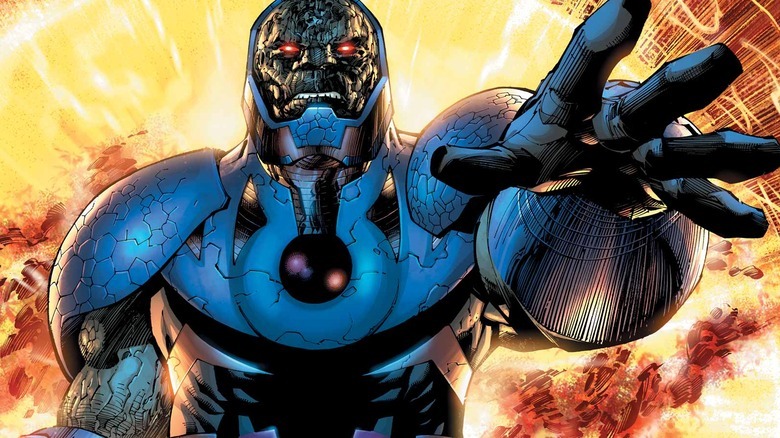 For those who haven't read the comics, Darkseid is the ruler of the planet Apokolips. 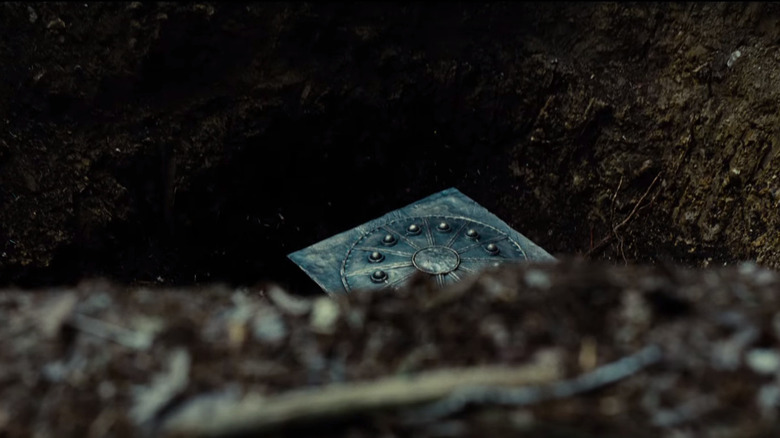 When it's mentioned that the Mother Box remakes the world in the image of Steppenwolf's home planet? That planet is Apokolips, where the Mother Box is from. And the Boom Tube, which is that teleportation tornado that whisks Steppenwolf around? Well, Apokolips is usually on the other end of that thing, which is probably where all those parademons keep coming from, though Steppenwolf was a little vague about exactly where he'd been for the last few thousand years. In other words, Darkseid actually plays a major role in Justice League, he's just not seen or heard from, and is barely mentioned. Why? And what role will he have going forward? At this rate, it might be a long time before we find out. What's the deal with Cyborg? Other than Cyborg himself, only Aquaman seems concerned by the fact that some kind of semi-sentient alien computer virus is taking over Cyborg's body. But it does beg a few questions. 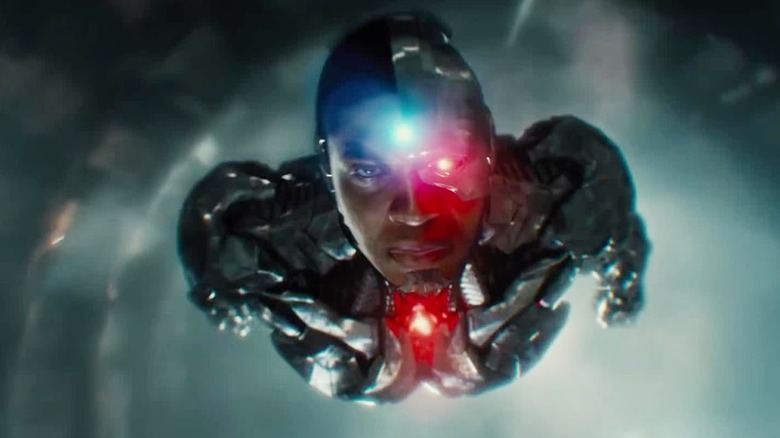 Once they dismantle the unified Mother Box at the end, how does that affect Cyborg? And what happens when Cyborg finally comes in contact with Darkseid, or Apokolips itself? Is he going to be remapped entirely into a parademon, or something worse, like a new lieutenant to replace Steppenwolf? Maybe before Batman builds his special table in Justice League Mansion, he should consider exactly what kind of ticking time bomb he's letting on the team. In one of the film's coolest Easter eggs, fans got to see the combined might of the Amazonians, the Atlanteans, the Old Gods, and best of all, a bunch of Green Lanterns as they fought to save Earth from Steppenwolf and his Mother Box. 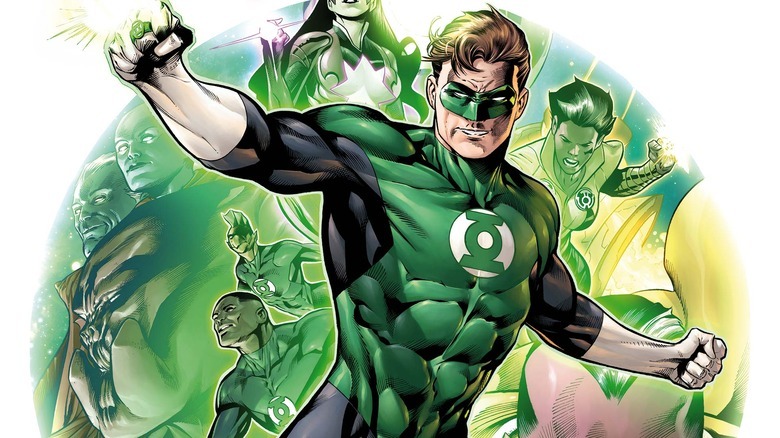 Finally, the Green Lantern Corps, brought into the DC Extended Universe! One question, though: where the heck was Green Lantern during the fight at the end of the movie? As the protector of Sector 2814, including Earth, the Green Lantern is basically the beat cop of the universe. His whole job is to stop invasions, and since Darkseid and the forces of Apokolips are pretty much the single biggest threat, you'd think an APB would be put out as soon as that Mother Box starts shimmying. And yet there's no sign of Green Lantern in the present day at all. Was he at a cosmic donut shop? Hopefully next time the world is about to be destroyed, he'll bother to show up. 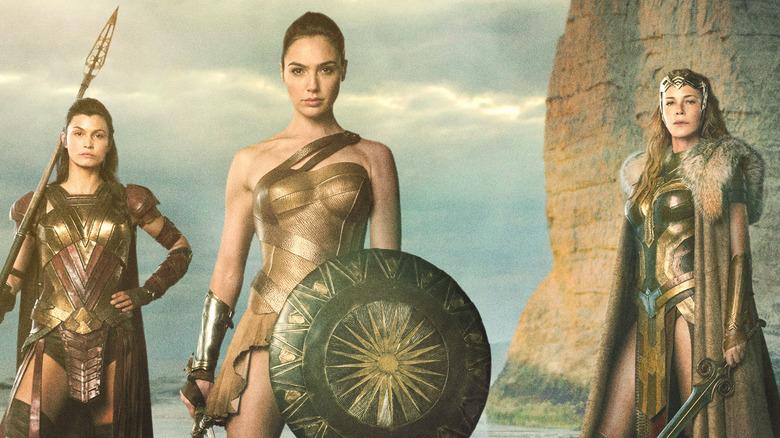 In one of the bigger head-scratchers in the film, it's mentioned that the Amazons can't leave their island at all. We're not told why, but it seems weird considering their job is basically to protect Earth from ancient threats. Pretty hard to do if you can't leave your house, unless the threats happen to actually show up on the island—and as we saw, even then, they apparently aren't so great at it. Still, even if the Amazons somehow couldn't leave their home to fight Steppenwolf, where were the Atlanteans, or any of the other allies who stood against him last time? The Atlanteans seemed to be able to fight on land just fine in the flashback, but other than the one brief scene of two of them getting punched underwater, the rest of the crew doesn't bother to answer the bell this time. And forget about humanity, because apparently the armies of the world were taking a sick day through the entire film. 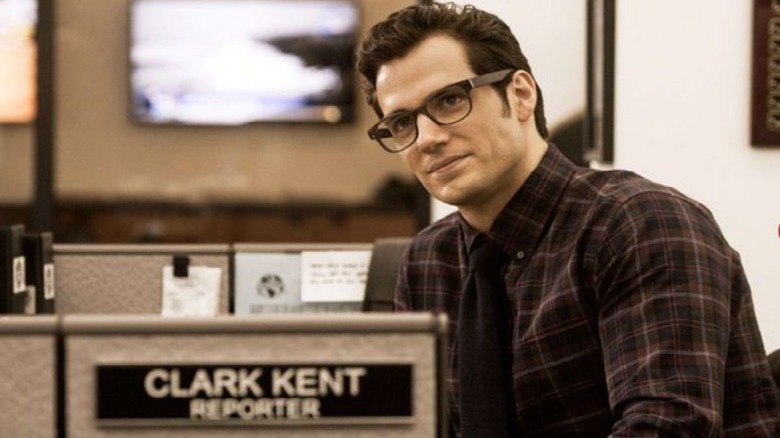 How do they explain the return of Clark Kent? Most of Justice League is about how much the world needs Superman, and the team's efforts to bring him back to life, which they manage to do through a combination of Kryptionan goo and Apokoliptian pseudo-science. Plus a lightning bolt. Setting aside the valid question of whether or not this totally iffy resurrection process had any long-terms affects on Superman, perhaps a more pressing question is, how are they possibly going to explain the fact that Clark Kent came back to life at the same time Superman did? In Batman v Superman, Clark got an obituary, was declared dead, and everyone mourned. Yet at the end of Justice League, he's back living in his old home, and seemingly walking the streets of Metropolis again in full-on Clark Kent gear. It's going to be ridiculously obvious to everyone that Clark and Superman are the same person—in part, of course, because people like Lois Lane are running around shouting "Clark!" right out in the middle of the park where everyone can hear her. Superman may be alive again, but his secret identity seems to be dead as a doornail. Who else is going to be in the Legion of Doom? Finally, we just have to ask, who else is going to be in Lex Luthor's Legion of Doom? So far in the end credits scene we have Lex and Deathstroke the Terminator, but if the Super Friends cartoon is any indication, we can expect to see more villains in the future. The Joker, of course, has already shown up in Suicide Squad, but other villains like Black Manta, Captain Cold, and the Cheetah have yet to make their debuts in the DC Extended Universe. 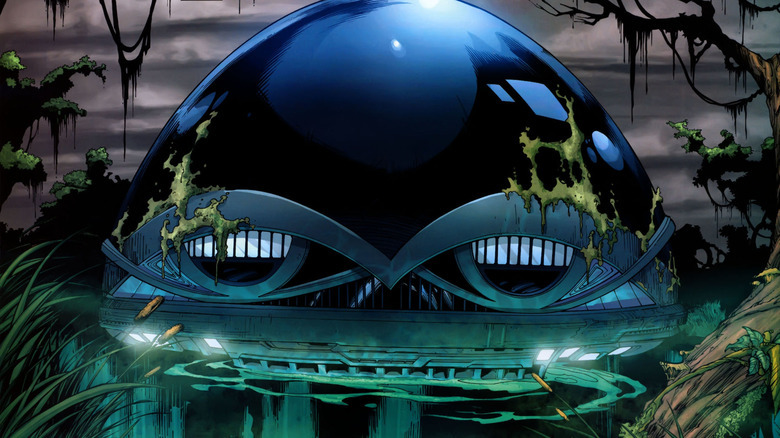 Frankly, we don't care who is on the team as long as Lex trades that yacht in for a headquarters that looks like Darth Vader's helmet and rests at the bottom of a swamp.